Expert Can Handle and Resolve It. 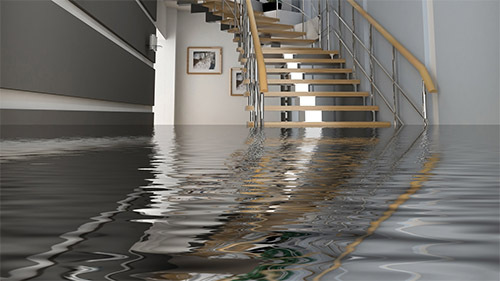 Water damage can occur any time, any place and to any home, apartment, or business. Even those homes, apartments and businesses that are well maintained and repaired can suffer from water damage due to plugged sinks, broken toilets or severe storms. Knowing what to do when water damage occurs can save you money, protect your possessions and your family health. The first thing you need to know is that you should never try to deal with major water damage without the assistance of skilled professional. Water, particularly dirty water from overflowing tubs, toilets, showers and storms can carry disease carrying bacteria with it that can make you sick and spread the disease throughout your neighborhood unless it handled correctly. Even clean water can cause more and more damage to your home as long as it remains in your home. Getting the help you need to remove that water and institute repairs as quickly as possible will save you a great deal of money and aggravation. Here at Midtown Carpet Cleaning our professional water repair technicians are on call 24/7 to help you take care of that water damage right after it occurs. Our commercial extractors can remove any standing water from your home quickly and effectively. The longer that standing water remains in your home the more damage it can cause. We can remove that standing water quickly helping to limit the amount of water damage that standing water can cause. Once the standing water is removed we set up our powerful dehumidifiers to dry up all the dampness from the walls, floors cabinetry, and the air itself to help minimize further damage and help prevent the growth of bacteria and mildew. As part of our clean up from the water damage you have suffered we will sanitize the affected area as well as treat it for mold and mildew. We will also clean any carpeting or upholstery that has suffered from the water damage. Once the clean up is completed we will then make any permanent repairs that are necessary to return your home to it’s original condition. If you are in situation where you can’t stop water from entering your home, our emergency repair technician will find the source of your problem and if possible institute any necessary emergency repairs to prevent further water from entering your home. Because water damage only intensifies the damage as time passes, you should call a professional at the first sign of water damage. Our water damage repair technicians are ready to help you 24 hours a day, 7 days a week. Call us at (646) 776-1550, and we will be there to help you.